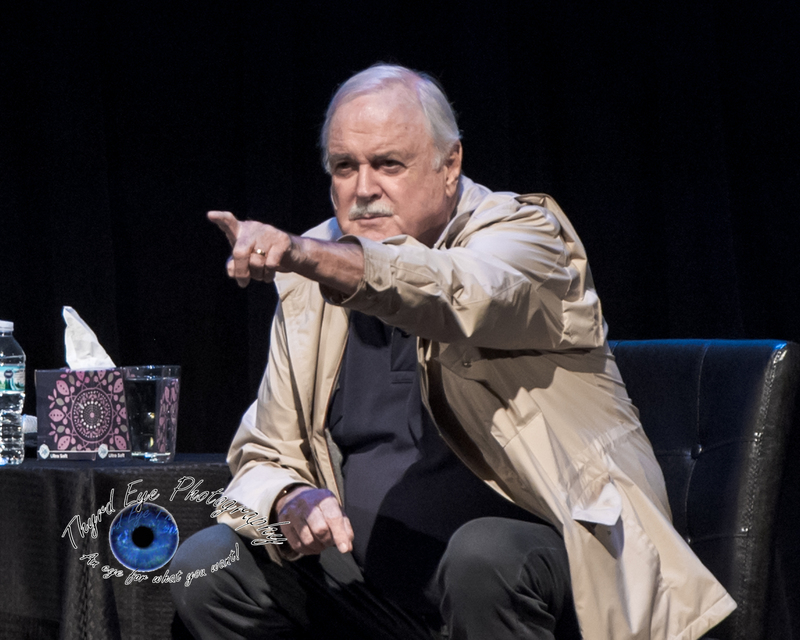 John Cleese at the Peabody Opera House in Saint Louis. Photo by Sean Derrick/Thyrd Eye Photography. If you have been to Washington D.C., Richmond, Virginia, or Nashville, Tennessee recently and have found a red diary/notebook with a British telephone number John Cleese may want to talk to you, and you may be richer for it. On Thursday at the Peabody Opera House the famed actor/comedian was in town for a Q&A session and screening of the popular Monty Python movie Month Python and the Holy Grail. 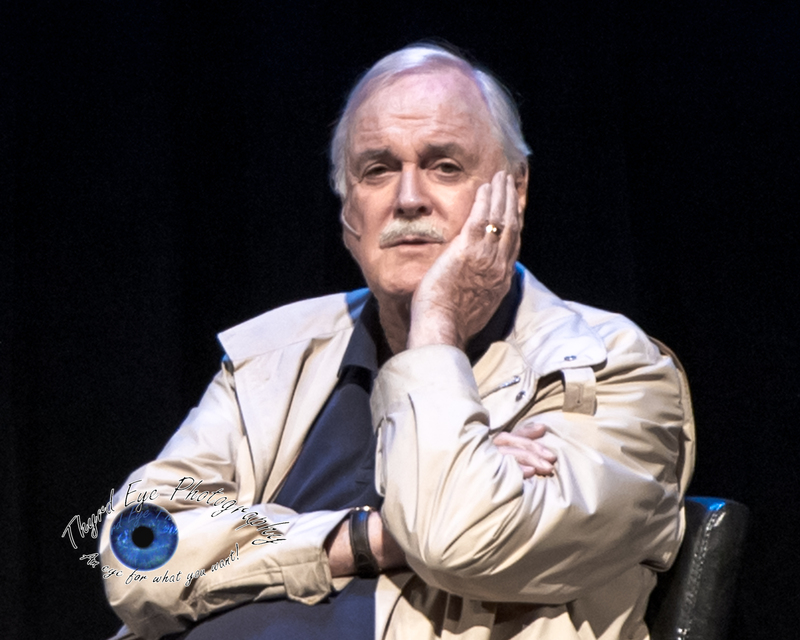 After the screening and during the Q&A part hosted by KMOX’s Mark Reardon, Cleese admitted to losing his prize diary somewhere in those towns. Furthermore, he confirmed that the offer of $1000 for its return was the absolute truth. 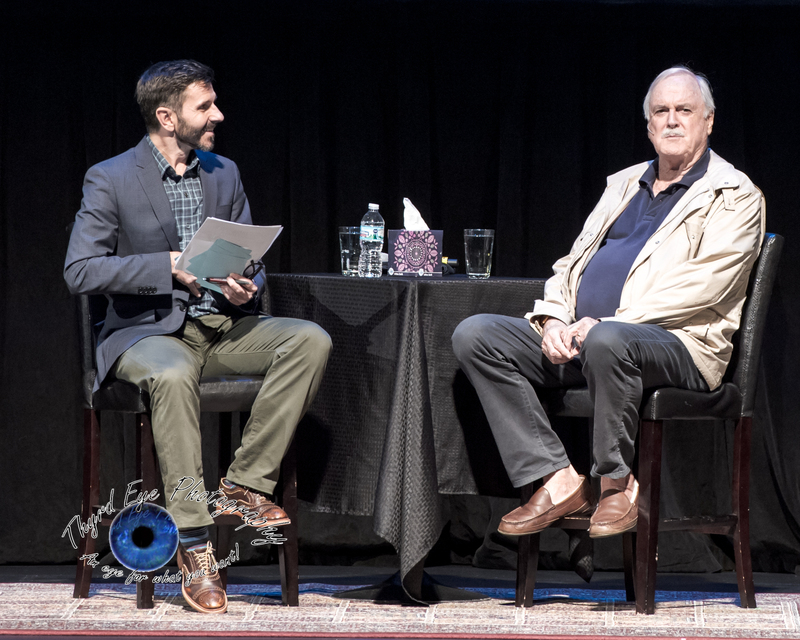 John Cleese discussing his lost diary at the Peabody Opera House in Saint Louis. Photo by Sean Derrick/Thyrd Eye Photography. Cleese, co-founder of the wildly popular sketch comedy troupe Monty Python, is in the middle of a tour that may seem different that what people are used to. And that is the point. Cleese is known for his off-the-wall silliness in his comedy (One only needs to check out the Ministry of Silly Walks sketch from Mothy Python’s Flying Circus BBC television show to see what I am talking about) but at 78 and a string of joint surgeries to his knee and both hips, among other things, Cleese has chosen the more subtle witty way in place of the physical comedy routine. If you have grown up watching John Cleese you will know that is a smart angle to go on. A master of wit Cleese has shown no signs of slowing down as he gets older. Rather, his stories become more grandiose and the climax of the stories punched at just the right time. 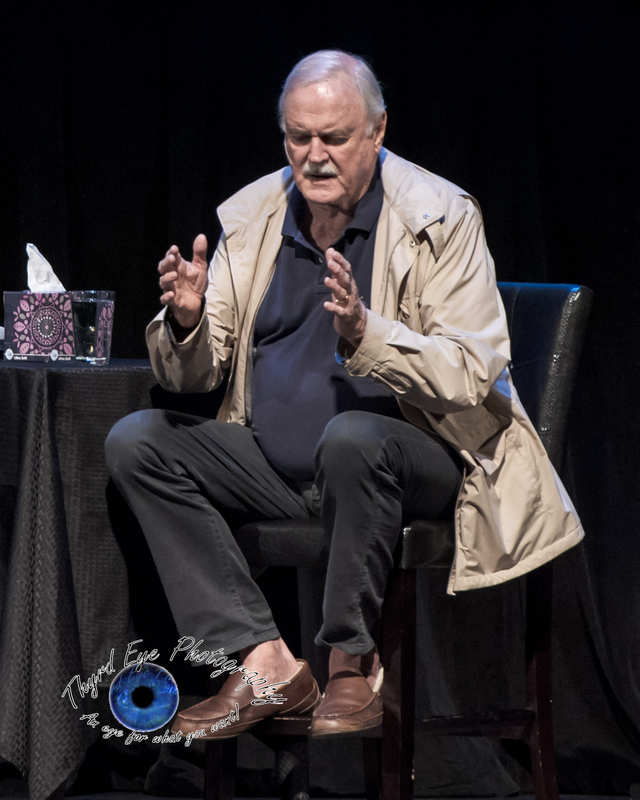 Thursday, audience members hung on Cleese’s every word, following his backstories into the Python family, his inspirations, religion, and the movie A Fish Called Wanda. The latter drew some of the biggest laughs and applause, as did his mentions of his friend and St. Louis native Kevin Kline, who co-starred in the movie. He also noted that his role of Archie in that movie was his favorite outside of Monty Python, and how he cast former Python mate Michael Palin to have a stutter since Palin’s father had a terrible stutter in real life. Cleese could see no other doing that role since Palin saw what his dad lived through. That was the only time Cleese touched on the issue of politics in any fashion, usually a staple in other cities, though other topics were fair game, like religion, irony in America, and serious acting versus comedic acting. Cleese was witty enough to make even the mundane question interesting, going off after answering the question to injecting some random story from his career, usually geared to the Monty Python days or A Fish Called Wanda. One of the more interesting stories that Cleese interjected was a time Cleese made a prank call to Palin in an effort to get him to come to the lobby of the hotel Palin was staying in to do a television interview. Cleese’s timing and attention to detail was spectacular, allowing the audience to hang on every word and picture the scene he was setting up. That is the thing about being a good comedian, knowing how to deliver the punchline and timing of the story. These are traits he said he got from being influenced by American comedic greats George Burns, Jack Benny, Phil Silvers, The Marx Brothers, Joan Rivers, and Lucille Ball among others. 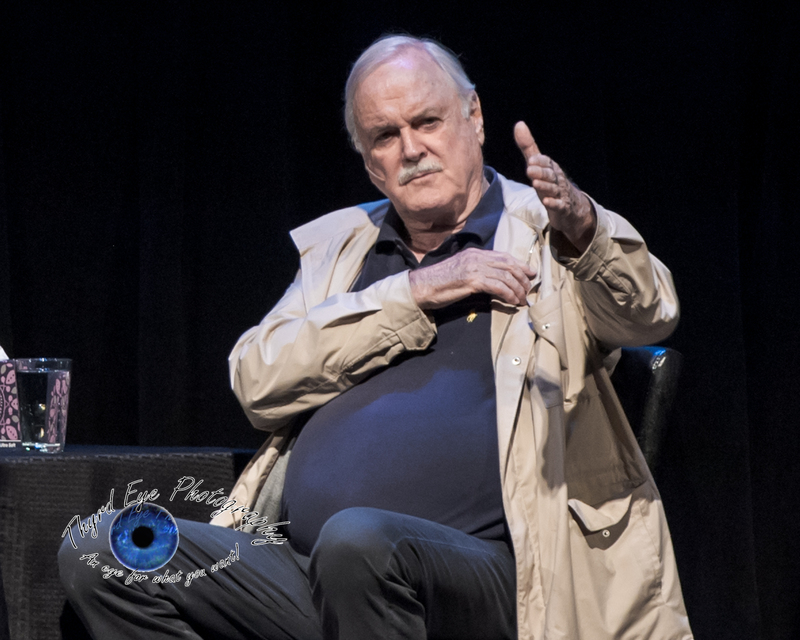 Cleese also believes comedic acting is harder than regular acting. “You don’t ever hear a regular actor talk about ‘bombing’ at a live event like a comedic actor has to endure. It just doesn’t exist for them. For comedians it is a whole different level.” This is something I have thought about for years but never was able to put it into a viable context that would make sense. But that shows Cleese’s wisdom and enduring outlook. He discussed how America comedy is different that British comedy, but laughs when someone tries to group two ends of the British comedy spectrum together in Monty Python and Benny Hill as being “British comedy”.